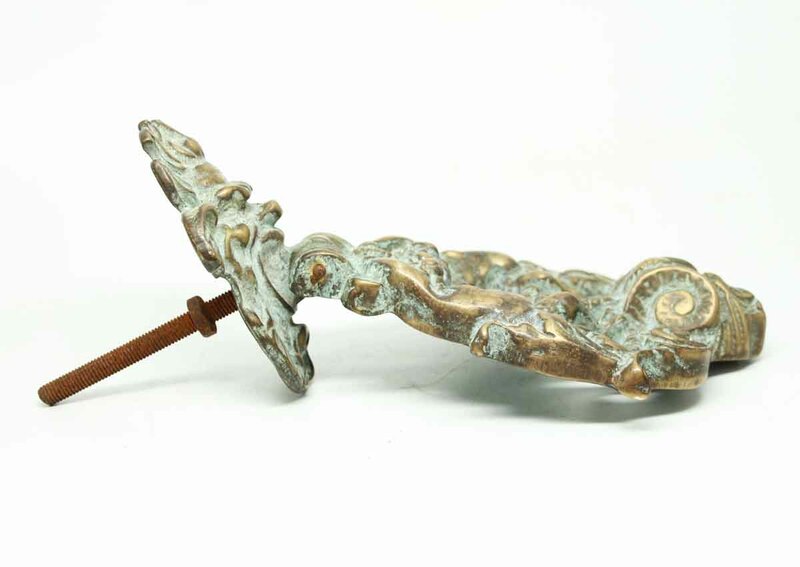 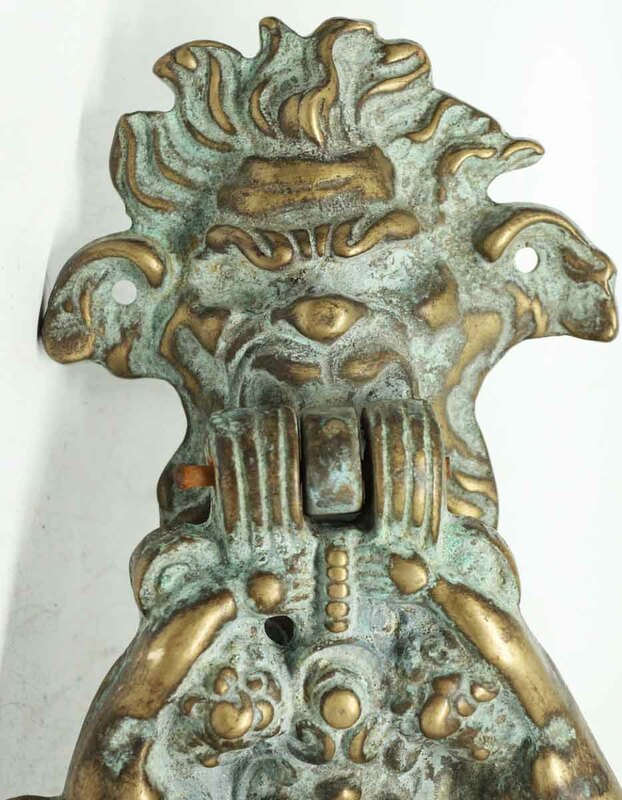 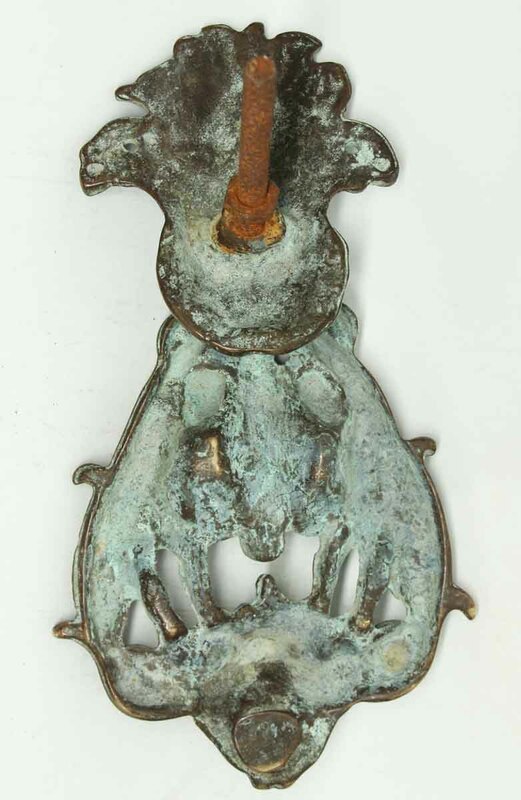 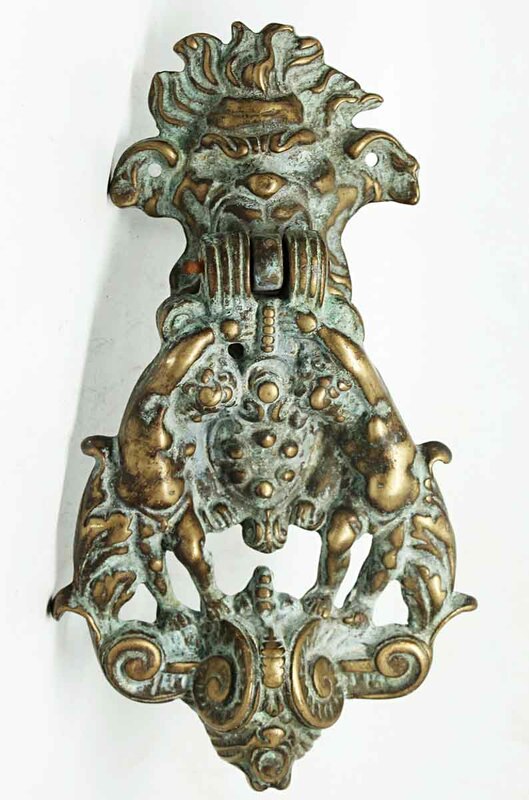 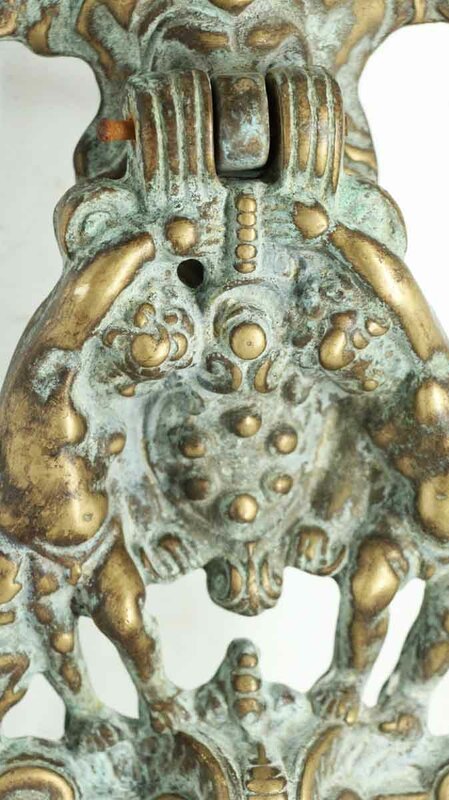 Antique door knocker with figural motif. 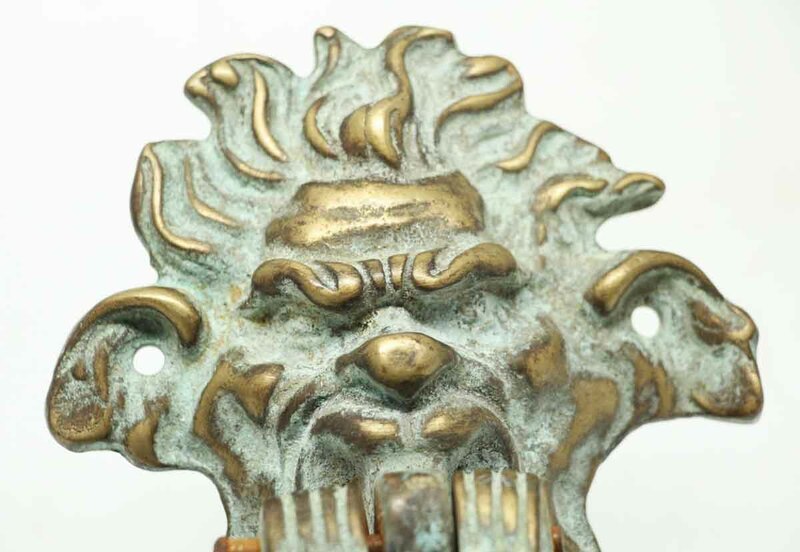 This can be polished at a small, additional fee. 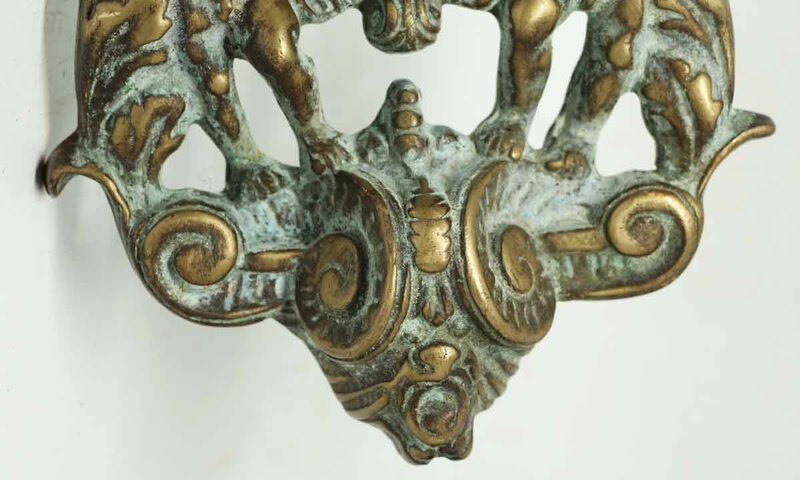 Please request for cleanup.